LinkedIn has proven to be the #1 platform for B2B leads today. With 400+ million members and growing LinkedIn is worth investing your time and resources. LinkedIn lead generation takes a strategy and long term investment and if done correctly and consistently can provide unlimited leads. Here are steps to successfully using LinkedIn. Most average users typically shoot from the hip when it comes to strategy. It is imperative if you are using LinkedIn lead generation as a prospecting tool you have a clear direction on who you want to connect with. Ask how you will build the relationship once you connect coupled with a content strategy. What type of LinkedIn lead generation campaign will you focus on? – Find niche you want to target be the expert in the niche. What tactics will you implement? Having a current, professional photo should go without saying. We may be repeating ourselves where stressing significant LinkedIn lead generation tips that you will benefit most from. Perception matters – always dress for the people who you want to work with. If you deal with corporate C level folks, than wearing a suit would probably be what they expect. Know your ideal market and you will know how to show up. 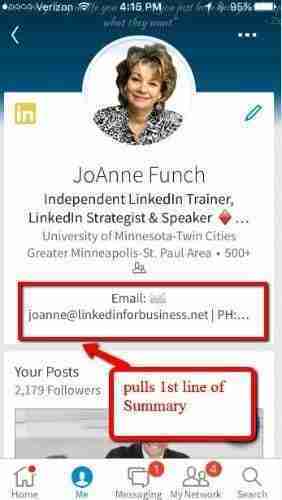 Be aware that over 50% of LinkedIn users now use the platform on Mobile devices so consider how your name, headline and title appear. Consider adding your contact information at the top of your summary section because on mobile that shows on the top of your profile (see image below) will someone accept your invitation? A strong personal brand stroy on LinkedIn is a proven source for successful B2B and B2C lead generation. If people in fact find your name, picture& headline interesting than they will read more and the next place they will head is your SUMMARY which you should place directly under your header information. You want to develop your personal brand story building in your credibility, who you serve, what differentiates you and a call to action. I have written about this extensively and you can read more in LinkedIn Profile Tips to Boost Your Professional Reputation. Our world is based on the opinions of others, we all have made a decision based on someone else’s experience and that hold true if we are buying something, going to a restaurant or hiring someone for a job. We are being checked out for credibility. What that means for you is to gain and keep updating your recommendations. A note about endorsements because people often ask me the difference, anyone can endorse you. It is a proverbial “high five” that someone gives you for a skill you have. Do they matter – yes. But remember a recommendation holds more weight in terms of someone actually writing a testimonial for a service you provided. Start with the “Who’s viewed your profile” section which is the most popular feature on LinkedIn. Study who is viewing your profile, what industry do they represent, what is their title etc. Start to track, learn and update as needed to attract your prospects and have them want to accept your invitations. This is where a premium LinkedIn account is so valuable because you can see the people who have viewed your profile over the past 90 days, a free account only shows you the most recent 5 people who have viewed your profile over the past 90 days. Learn how to use the advanced search feature to leverage LinkedIn lead generation. By narrowing your search parameters of your ideal persona will garner better results. This starts with your clear outline of your ideal buyer persona. If you are not clear on who your ideal prospect are, then who are you searching for? Remember, not everyone is your customer, so hone in on who is ideal. According to Adele Revella of the Buyer Persona Institute, “Marketers typically gather facts about their buyers by talking to a sales rep, meeting with a product expert or conducting online research. Most people don’t think of LinkedIn as being such a powerful search engine that it is. When you are in the advanced mode you can refine your search by keyword, title, company, city, state and school. You have access to all of these with a free account. With a premium account you get additional filters such as years of experience, function, seniority level, interested in, company size and when they joined LinkedIn. Incorporating Boolean search parameters also works in the advanced search bar. Boolean search has been used my many savvy internet users for many years. Boolean searches rely on specific modifiers to help you find results more. Being an active participant on LinkedIn means coming out from behind your lurker glasses and engaging with your network. A good strategy includes sharing content that you know from your research is information your ideal customer would be interested in. This could be blog articles from your blog and other authorities, white papers, podcasts, video and webinars are all types of content. Note: On LinkedIn’s invitation form you will be asked how you know the individual you are inviting. If you do not have their email address I suggest you simply click the radio button next to Friend. The individual does not know that you have checked this option. Success is in the follow-up, so be committed to reach back out to your new connection several weeks later. I recommend if you created a spread sheet while you were compiling leads you add a column of follow-ups. If you use LinkedIn’s CRM tool or another CRM, be sure to schedule follow-up contacts and schedule time to talk and meet your new prospects. You may have heard the term “Social Selling” – it is more than a buzz word. LinkedIn social selling is the new revolution in marketing and sales where you want to align your tactics of prospecting with the buying journey and add value to the buyer. Social selling is NOT about selling, rather it is about connecting and serving others in a deeper, more meaningful way. To understand that concept it is important to view how the buying process has changed. Today’s buyers regardless if that is B2B or B2C are socially driven, they are searching online for a product or service well before contacting you. The decision you want to pay attention to is “will you be the one they buy from?” Those who understand and implement social selling will have a competitive advantage! Increases your visibility with your network. Focus your sharing on topics and content that you want to be known for, your expertise people expect to learn from you. Be consistent and show up frequently. Ideally that would be once per day during business hours. Build your brand with a company page. Followers of your company page will be shown your posts in their newsfeed giving you the ability to share your company information building your credibility and authority in your niche. The challenge is inviting people to follow your page. Continue to post articles of real value giving people a reason to follow your page. Include great images, stories about your company and employees along with the value of your products and services. Generating great leads can come from active participation in groups where your ideal prospects are members. If the group is active with great dialogue you will want to participate with your knowledge. When you are engaging and providing good discussion naturally members will want to know who you are and they will invite you to connect. If you remain consistent you will be noticed! 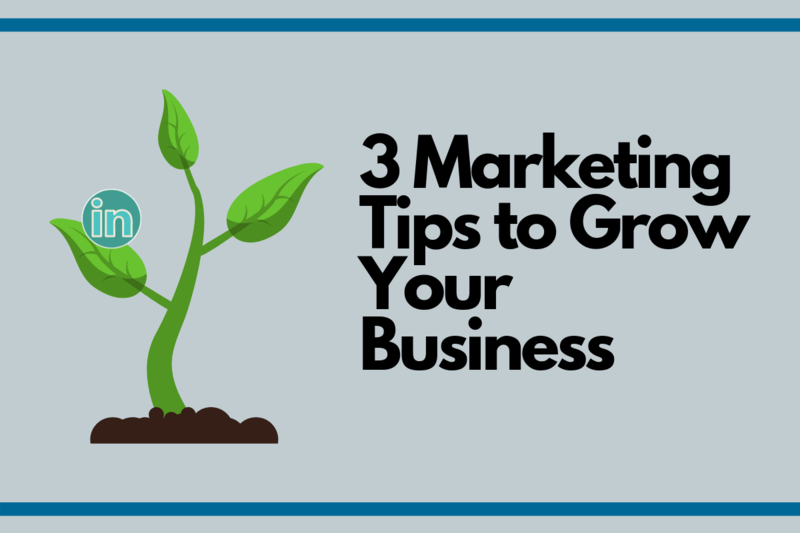 Starting your own group has been a great lead generation strategy – in the past. With the October 2015 changes it has become more difficult to attract people to join a group unless the group owner/manager has a large data base of quality people to invite. If you have created and continue to create a quality list of prospects, this can be a viable lead generation strategy. LinkedIn groups are now private won’t be searchable. Second, managing a great group takes a lot of effort and monitoring thus a long-term commitment is required. Ask yourself if you are up for that challenge and the bigger picture of knowing the goal of the group. To learn more about starting a LinkedIn group. LinkedIn allows you to hyper-target your buyer so knowing all the components of your buyer persona is critical to getting results from paid advertising. Advertising is a lead generation strategy worth allocating a budget for and testing your ad content. It does require close monitoring and can garner results. I expect LinkedIn will continue to offer refined targeting options to advertisers. If you are seeking to reach new markets, allow me to partner with you on your LinkedIn lead generation strategies. You want to be making calls with individuals seeking your services or products. 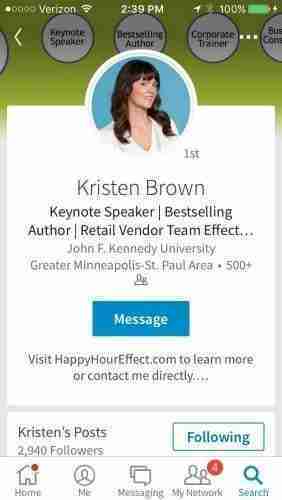 Benefit by having your own LinkedIn expert to get advice from anytime you need it. Thanks for the great article on targeting Ads through LinkedIn. You are the go-to source when I want professional knowledge on LinkedIn and how to best use its features.